The 1964 Wilderness Act set aside nine million acres of National Forest land in the original National Wilderness Preservation System. As of 2012, 107.5 million acres of land have been protected as Wilderness, about 2.8% of the lower continental United States. 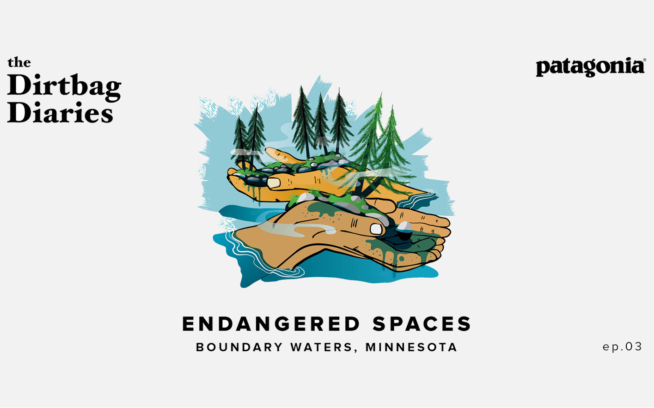 Thirty-two years later, we are still allowing irreplaceable wilderness to be destroyed with only a tiny fraction of our land base protected. Stegner has left us. Abbey has left us. As we approach the 50th anniversary of the Wilderness Act, it’s time to steep ourselves in their words, that of other wild visionaries, and the Wilderness Act itself. It’s time to roll up our sleeves and fight for more wilderness protection. I’ve worked as a river guide and outfitter for almost 20 years, much of it introducing people to Idaho’s Frank Church-River of No Return Wilderness. At 2.3 million acres, it’s the second largest Wilderness Area in the contiguous United States. Despite being visited by thousands of people each summer, signs of man are virtually nonexistent, and this area remains a respite for those seeking to visit true wilderness without leaving their mark on the landscape. Idaho’s MIddle Fork of the Salmon River runs through the heart of the Frank Church-River of No Return Wilderness. In contrast, my friend Vladimir Gavrilov recently led a group of rafters to the Katun’ River in the Altai Mountains of Siberia. The name, Siberia, conjures images of true wilderness, but instead they encountered campsites littered with the rusty tin cans of civilization. One of the guests, an American, quietly gathered up all the trash he found as the Russian guides looked on in surprise. Vlad, himself a Russian ex-pat, was pleased to see an American setting an example of environmental stewardship. I’ve always loved wilderness and have most recently fallen for the Kalmiopsis Wilderness in southern Oregon. My first experiences in this steep, rugged area, were kayaking the upper reaches of the North Fork of the Smith River and the lower reaches of the Illinois River — two of three Wild and Scenic Rivers that flow through the Kalmiopsis. The third remained a mystery until after two days of carrying our boats and gear through thick brush, over charred trees, and down a steep, boulder-choked creek, our party reached the Wild Chetco River. Hiking up to Chetco Pass on our way to the Chetco River. In 2002, the Biscuit Fire had burned through much of the Kalmiopsis Wilderness. The natural recovery had reclaimed the bulldozed mining tracks and steep trails that provided access for the few miners, kayakers, and hardy hikers seeking the type of solitude only the Kalmiopsis can provide. Every year since the Biscuit Fire access to the Kalmiopsis has become more difficult due to the overgrown brush and fallen burnt trees covering every trail. You might think that two grueling days getting to the river would put me off wilderness. However, the Chetco is one of the most beautiful rivers I’ve ever seen. The irony is, the same Wilderness Act that protects the primeval character of this land, also makes it more of a challenge to access and enjoy. Paddling the remote Chetco River. So last summer, I joined a Siskiyou Mountain Club crew working to restore the old mining track-turned-trail that’s the quickest route to the Chetco. Clearing the tangle of trees and shrubs would make access to the river only a half-day hike. Chainsaws are not allowed in designated Wilderness, so all trail work is done by hand. For four days, using long, crosscut saws, we rhythmically cut a path through the horizontal forest of downed trees. The backbreaking work allowed me time to think about wilderness and more specifically the Chetco. Trail clearing in the Kalmiopsis Wilderness from Chetco Pass to Slide Creek. I asked myself: Is protecting the integrity and wildness of places like the Kalmiopsis and its wild rivers more important than the ease of access? Would I — like Stegner — be willing to put the “need for wild country” first, even if I could “do no more than drive to the edge of it and look in.” As the wood chips flew, I realized the answer was: Yes! There’s almost 200,000 acres of unprotected wilderness contiguous with the 179,000 acre Congressionally designated Kalmiopsis Wilderness, and thousands of acres of nearby roadless area. The de facto wilderness is watershed to the Wild and Scenic Illinois, Chetco and North Fork Smith Rivers, plus five streams that are eligible to become Wild and Scenic Rivers (Silver, Indigo, Josephine/Canyon, Rough & Ready, and Baldface Creeks). Rough and Ready Creek is a tributary of the Illinois River that lies just outside the Kalmiopsis Wilderness. The deceiving emptiness of the region surrounding the Kalmiopsis stands out on maps of the west coast. While this mix of protected and unprotected wild areas is admittedly small in comparison to the Frank Church’s 2.5 million acres, there’s a lot packed into a small area. Its rivers are free flowing — from their headwaters to the Pacific — with miles of some of the best wild salmon and steelhead habitat in the United States. For plant lovers it’s the stuff of legends. Lilla Leach, the pioneering botanist who in 1936 first came across a diminutive pink flowered shrub on a trek across the Kalmiopsis Wild Area, reportedly fell to her knees in wonder. The object of her awe was indeed rare. Kalmiopsis leachiana is an ancient endemic species — a survivor of the last ice age, that found refuge in this rugged, wild land of extremes. Now, I’m a river man, but paddling past a bank covered with wild azalea in full bloom, happening on a stream side fen of rare orchids, or seeing the bright green hooded leaves of the insect eating cobra lily is more fulfilling than a clean line through any rapid. With such a concentration of treasures and so much potential, it’s hard to understand why there’s been no expansion of the Kalmiopsis Wilderness since the Endangered American Wilderness Act of 1978. The Wilderness Act says it’s the policy of Congress “to secure for the American people of present and future generations the benefits of an enduring resource of wilderness.” Let’s remind Congress of its obligations to the people, and work to see many natural treasures protected as Wilderness. 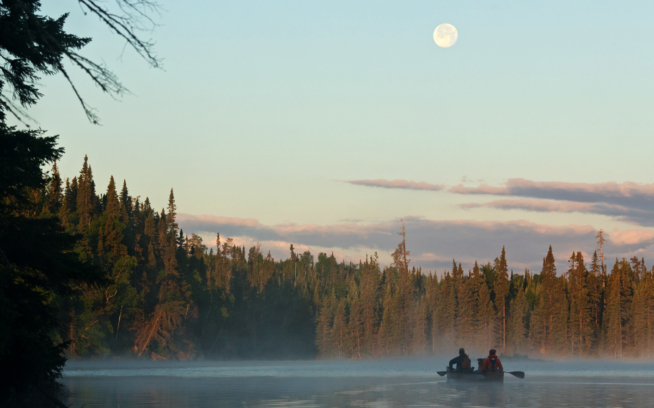 2014 will be the 50th anniversary of the Wilderness Act. I hope that you’ll join me in heading out to enjoy it. You may even find a new favorite piece of wilderness, and soon find yourself joining the efforts to protect it. To learn more about the Kalmiopsis Wilderness and surrounding area, please visit the Friends of the Kalmiopsis website. Update: To help protect the Wild and Scenic Chetco River from mining, please take a moment to send an electronic message to the Secretary of the Interior. 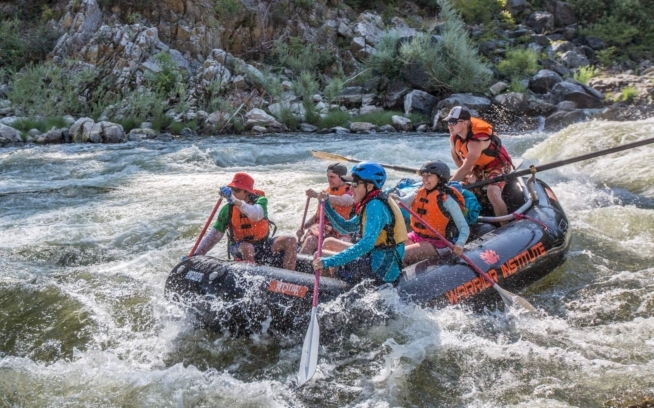 Zachary Collier is the owner of Northwest Rafting Company and an avid river runner. This next year he’s taking on an exploration of the Kalmiopsis Wilderness via it’s rivers and creeks.